A collection of my cooking, favorite recipes, culinary endeavors and all things culinary related! 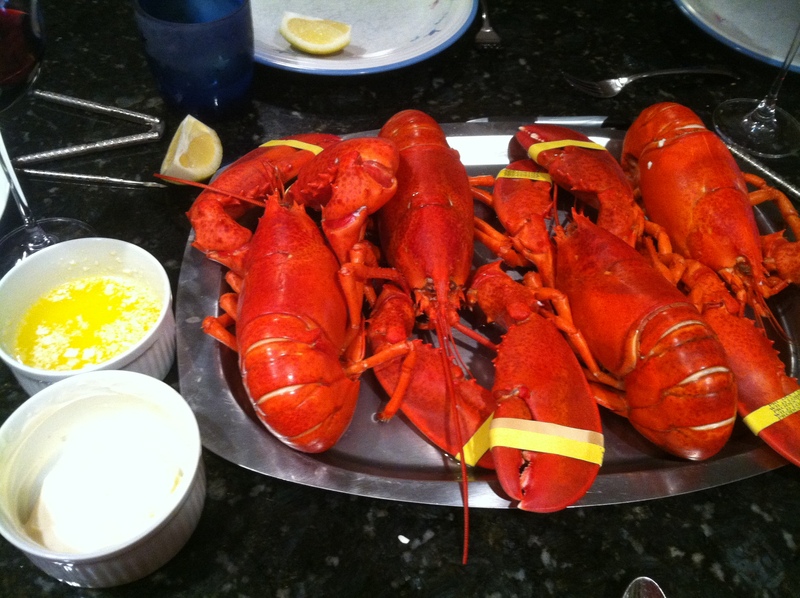 I just got back from a great long weekend in Maine and brought back 8-10 pounds of Maine Soft shell Lobster. It was amazing! The little guys made the 8.5 hour drive home with me packed in ice and all survived! Boil a large pot of water with a pinch of salt. 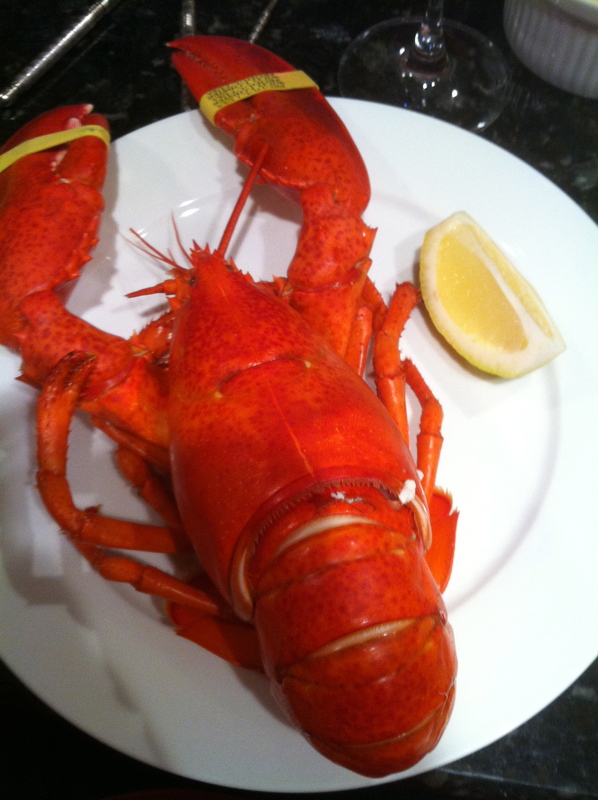 IF you can stomach it pierce/slice the lobsters behind the neck to kill them just before boiling ( be careful if you are working with hard shells) Boil lobster at the ration of 10 minutes per pound ( anything after 1 lb add 2 minutes) I was working with 1.5 -2 lb lobster and cooked them for 12-13 minutes. The shells will turn bright red. IF you do not kill them before boiling be very careful putting them into the pot ( always head first)- they will recoil and try to jump out. Let them steam or boil ( just modify water level to steam) Secure the lid and let it go. In a small sauce pan melt down 1 stick of butter on medium heat. If you would like to flavor it try a small amount of pureed garlic ( almost to a juice) or a sprinkle of garlic powder. You want the butter to melt down JUST short of browning the butter. Spoon 2 Tablespoons of Mayonnaise into a medium bowl. Combine with a dash of garlic powder or minced roasted garlic and finely diced sautéed onion. A great variation would be a lemon scented mayo. Do exactly the same as above but add the juice of a 4th of a lemon!